​Paul Merson has revealed he feels bad for Liverpool's James Milner after a tough run of games for the midfielder. 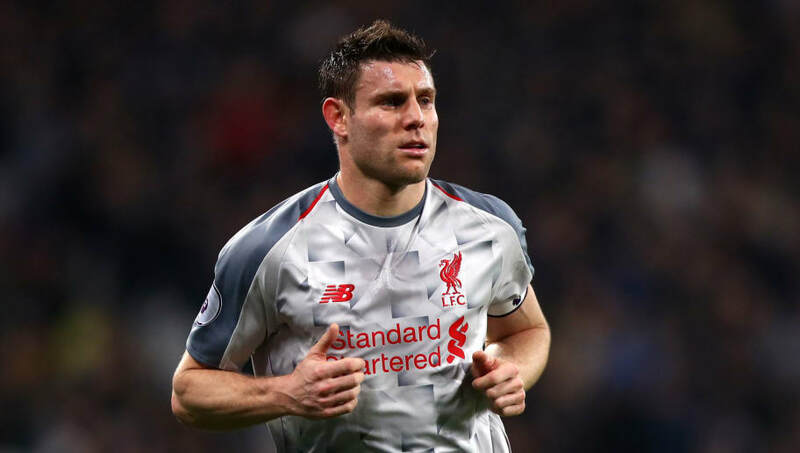 The Sky Sports pundit and former Arsenal star put the Reds' suffering form down to the fact that Milner has been forced out of position to cover for the injured Trent Alexander-Arnold. Former England international Milner has struggled adapting to the role, shown when he was up against Crystal Palace winger Wilfried Zaha, and looked average against West Ham. Merson has explained how Liverpool will struggle in the run in for the Premier League title due to their lack of quality squad depth, a weakness which has shown in their recent encounters. Merson spoke to Sky Sports, explaining: "Liverpool's squad looks shallow - no disrespect to Divock Origi but when you are chasing a game, like at West Ham, and Origi comes on. I look at City and every player on their bench can turn a game and that will take its toll over the season." He expressed his sympathy for James Milner, adding: "I feel for James Milner, who is an unbelievable midfielder having to play at right-back. And Liverpool need their full backs, the way they play they are a massive factor who go under the radar a bit. "Trent Alexander-Arnold and Andy Robinson are unsung heroes because they bomb on up and down the wing and get crosses in, they get back and defend, and then all of a sudden they now do not have that outlet as they do not have a right-back. And that means Robertson is not as confident going forward. "They become unbalanced, while they have no flair in midfield. It is all very well have a great front three, but you have to get the ball to them. "You watch them (the front three) and they are not three players who will get the ball and then beat three or four players and score a goal. They need to be put in, or there has to be movement."